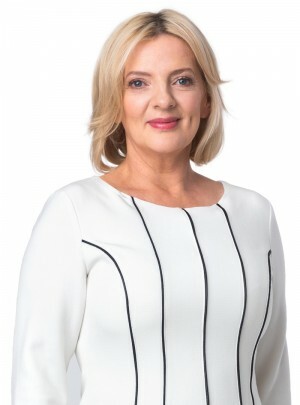 My name is Liadh Ní Riada and I am honoured to be your MEP. I am a full time public representative and I am totally committed to making your voice hear in your Europe. I am a republican, a mother, an entrepreneur, a community activist, a filmmaker and a native Irish speaker. I live in Baile Mhuirne with my husband and our three girls, but I am in Brussels or Strasbourg during the week working on your behalf. My background is in television production and I served on the board tasked with setting up TG4. I have directed and produced several documentaries and ran my own production company for a number of years. I am passionate about our heritage and culture and I have been a vocal advocate for Irish language rights for many years. As Sinn Féin’s National Irish Officer I met with Irish speakers, learners, educators and activists from all over the country and although making headway in developing language policies my sense of where Ireland was going drove me to broaden my scope and enter electoral politics. As a mother, a rural-dweller and an activist I could see the damage being done to our society and our communities by bad governance, austerity, and a lack of political will or imagination in Dublin or Europe. I decided to stand up and be counted and I joined the fight back. Growing inequality, the destruction of social supports in our cities and towns, the assault on rural Ireland, and increasing levels of poverty and deprivation must be stopped. I believe that we need an alternative way of doing politics, of managing our economy. We need a system that has its priorities straight, and that puts the needs of our communities and our children ahead of the interests of bankers, speculators, tax exiles and establishment politicians. In May 2014 the people of Ireland returned four Sinn Féin MEPs, representing every part of this island. As part of this strong team I am working hard on your behalf. Its an uphill struggle and we face opposition from those who would rather the people of Ireland and the peoples of Europe were kept in the dark and at arms length. I am determined to raise the issues that matter to you, to search out solutions and to work with you to resolve them. I am determined to give you access to all that is good about Europe; to funding, to supports, to the protection of our environment and rights, and to partnership between communities from all over the continent. I am determined too, to highlight the dangers to our independence, our economic sovereignty, and to our farming and fishing industry that a compliant political elite here in Ireland seem to ignore. As a republican and a Sinn Féin activist I will continue to champion a fair, equal and inclusive Ireland. Alongside colleagues across the continent I will work towards a just and prosperous European Union. A social Europe in which Ireland can take her place as an independent, united and prosperous nation.